So, I was in San Fran right? JB and I did some mad shopping. 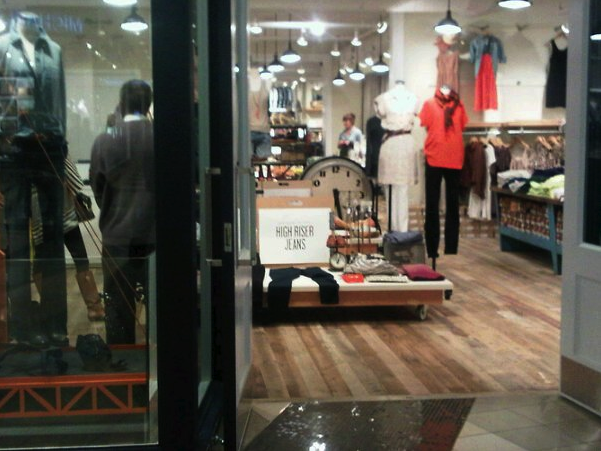 One spot I love for real, rather than just online, is Madewell. Well, the SF store was sweet. I was particularly impressed with the commissioned Golden Gate Bridge they had in the front window. I was also tremendously impressed that the majority of oversized fixtures were salvaged from local industry that had shut their doors years ago. Repurposing at it's finest. ps- madewell is having a sale! go see here! Ha ha Erica, I wasn't sure what day it was either! I hope you find time to post some more photos, I'd love to see them! Oh, and I adore Madewell too! 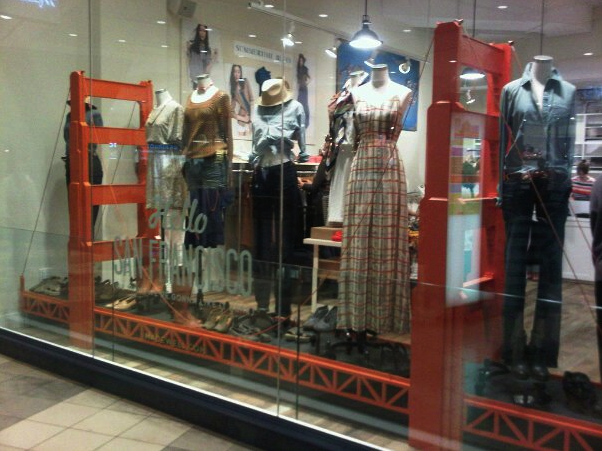 We love Madewell! We have not been to the SF one yet, but always go to the one in LA and now we have one much closer at South Coast Plaza. Our favorite is still the one in SoHo. They always do have great flea market finds. I noticed a collection of old Clorox bottles at the SCP store yesterday. That color is so pretty...I'm now on the lookout for a collection myself.